Congratulations Latanya! I sent an email- please reply within 48 hours or I'll have to choose a new winner! We moved my baby out of his crib, which means he's not really a baby anymore! Sniff.... So, that means my boys are sharing a room, and my daughter gets her own room! Makeover! My daughter, who is almost seven, decided on a ballet theme for her room. I'm not one for characters and themes in bedding- I prefer to choose a color scheme and use the accessories to create the theme. 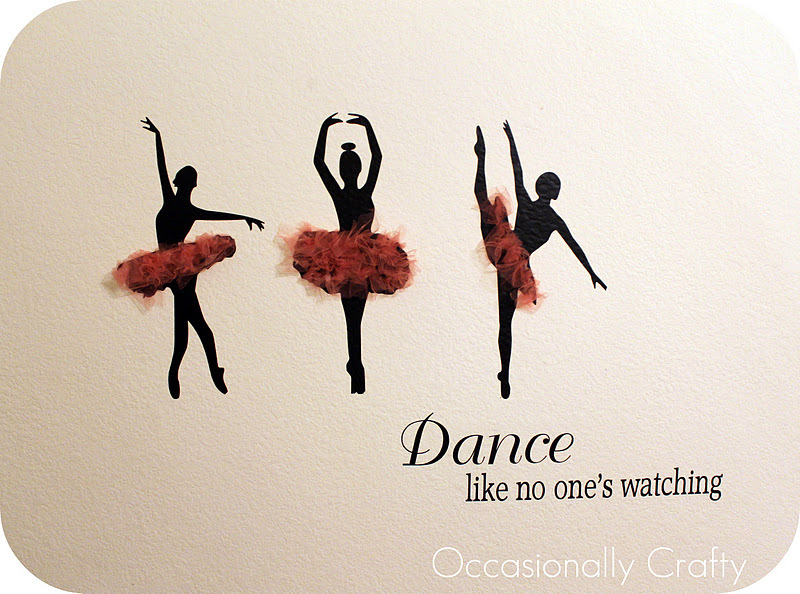 So, here is my first project for her room: Ballerina Vinyl Wall Art. I cut these shapes from adhesive vinyl with my Silhouette Cameo. After adhering them to the wall, I thought- wouldn't it be fun if I gave them little tutus? So, I cut up some tulle from one of my daughter's old tutus, then scrunched it up and hot-glued it to the ballerinas. I don't know if I should have used hot glue, but I did and it worked great! I love the three-dimensional look! I finished it off with a quote appropriate for the room. Sharing at some of my favorite link parties this week: I hope you'll join in and party with me! Have a great week. Those are so beautiful! Makes me wish I had a girl. Thanks, Angela! I'm just sad my only girl is getting so big! Thanks for visiting! I absolutely adore these! They are so beautiful and I especially love the tutus. I'm your newest follower. Thanks so much for visiting and following- and for your sweet comments too! Oh my!! We are redoing Brooklyns room here in Febuary and im totally going to barrow this idea from you!! 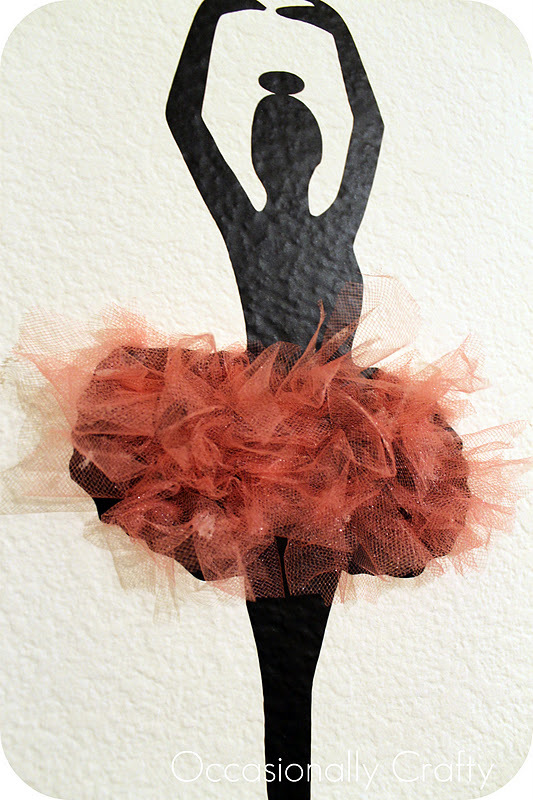 Love this idea - vinyl and tutus are some of my favorite thing! So cute! I love tulle! I love it! The tulle is a great idea! Wow, Valerie! This is incredible. The tulle really is genius! I love how it makes it seem 3-dimensional! Very sweet! 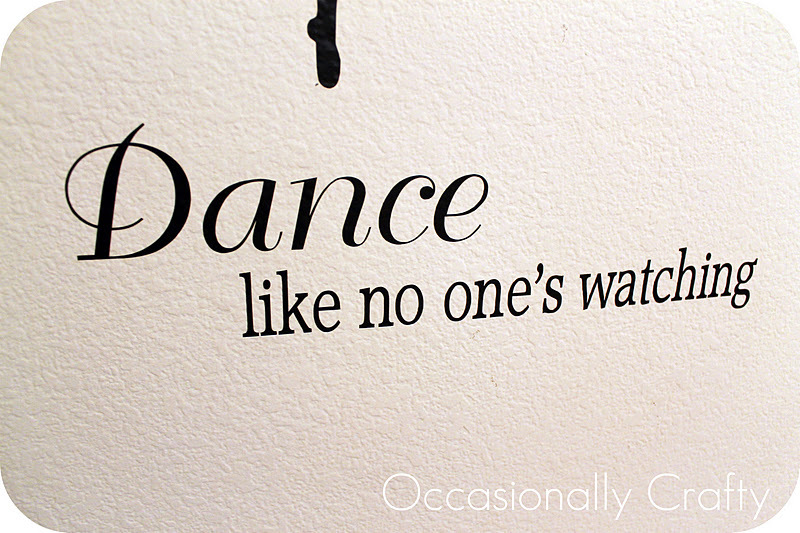 I have a fondness for Ballet. My mother is a classically trained ballerina. I never saw her dance on pointe. How sad.